Family is the foundation of life. When that foundation begins to crack, it can feel as if your entire world is coming down. With Ramsay & Ramsay by your side, you may be able to maximize your injury claim and recover the full amount of compensation that you deserve. The attorneys at Ramsay & Ramsay, PC, know the most effective defense against criminal charges is one based on thoughtful strategy. 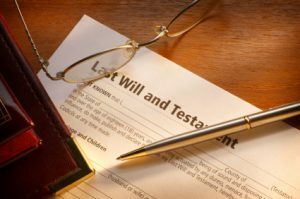 Estate planning also allows you to place decision-making authority over your finances and medical care in the hands of trusted loved ones. Have you or a loved one been charged with a crime? For more than three decades, individuals in West Chester and throughout Chester County have turned to the attorneys of Ramsay & Ramsay, PC for help in resolving criminal cases. Click on the image above to learn why we are the best choice. 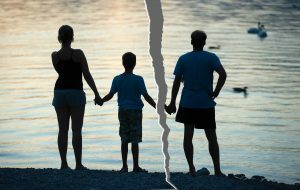 If you are going through a divorce, child custody dispute or facing another family law challenge, you may be feeling overwhelmed. Click on the image above to learn how we can help you through this difficult time. Every day, lives are affected by devastating accidents. Victims suffer tremendous emotional stress and physical pain. Please click the image above to learn how we can help you and loved ones through a Personal Injury case. Sound estate planning today can spare your loved ones significant time and worry in the future. Everyone should have a Living Will and an Advanced Healthcare Directive. We can also prepare and execute Power of Attorney documents. Please click the image above to learn how we can help. Integrity, decency, honesty, diligence — these are the qualities that set Ramsay & Ramsay, PC, apart. 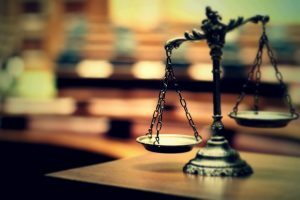 When individuals in West Chester and throughout Chester County turn to Ramsay & Ramsay, PC, they know they will be represented by attorneys who are dedicated to their case and to obtaining favorable results. Together, the father-daughter attorney team of Tom Ramsay and Marissa Ramsay bring almost 40 years of legal experience to every case they handle. 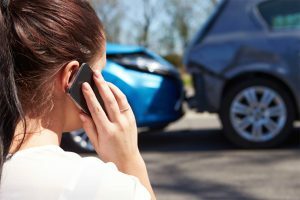 Whether defending clients against criminal charges, guiding clients through a family law dispute or helping clients obtain compensation after a personal injury accident, their goal remains the same: to get the best results possible. As a former Deputy District Attorney, Tom Ramsay provides his clients with invaluable insight into the inner workings of the criminal justice system. He knows how the prosecution builds its case and what it takes to break that case apart. When building a legal strategy, Tom and Marissa Ramsay take a scholarly yet vigorous approach. They examine all of the facts, thoroughly research all of the law and then draw upon their years of practical experience to develop tactics that advance their clients’ interests, protect their clients’ rights and resolve their clients’ legal issues in the most efficient and cost effective manner possible. No matter how serious your criminal charge, or how complex your legal issue, the attorneys at Ramsay & Ramsay, PC, have the skills, the knowledge and the experience to achieve success. I will be forever grateful with what Marissa was able to do. She was very meticulous on how she handled the case. If you’re looking for someone that cares about what you’re going through choose her. She was understanding, professional and always answered all of my questions. Truly happy with how case went. A close friend suggested I give Marissa a call. I was so mortified that I got a DUI. With her help I was able to keep my license and my job. Marissa and Tom were fabulous when we needed a lawyer. Both of them were kind, efficient and I felt they truly had my son's best interest in mind. Even when chaos hit, Tom came through on the spur of the moment. Thank you both for a job well done. Marissa did a great job defending my son. She was thorough in her research and in the end, my son was very grateful with the end result. He himself has recommended Ramsay & Ramsay to anyone in need of good representation. I highly recommend! I cannot say enough about how wonderful Ramsay & Ramsay have been there and helped me tremendously with some difficult legal matters. I feel had the best legal care I could of ever asked for, and would recommend them highly! Choosing Marissa for my case was the best decision that I made. I am more than satisfied with the outcome. She always made herself available to me when I needed her. She was approachable, easy to speak to, well organized, professional and I highly recommend her. We have used Tom Ramsay and Ramsay and Ramsay for over 5 years. He is an excellent lawyer and his expertise in law is unmatched my many! He is a "straight shooter" and will not tell you what you want to hear but will tell you exactly what you should or should not do, to get the best possible outcome, in any situation. I highly recommend Tom Ramsay. He was not only the best lawyer we hired but I can now also call him a friend. Marissa is very compassionate about her job representing her clients. She is very up to date and knowledgeable about the laws concerning my case and was very helpful in explaining them to me so that i could understand what would occur during the process. Marissa was very caring and always took time to answer my questions and give me some moral support when I was feeling overwhelmed. I would highly recommend Marissa to help in your next legal problem because she goes beyond the call of duty of an attorney. We have used Tom Ramsay (for over 5 years) and most recently Ramsay and Ramsay for 2 years. He is an excellent lawyer and his expertise in law is unmatched by many! He is a "straight shooter" and will not tell you what you want to hear but will tell you exactly what you should or should not do, to get the best possible outcome, in any situation. I highly recommend Tom Ramsay. Marissa Ramsay is a highly intelligent attorney and is well on her way to becoming one of Chester County's most respected attorneys. They were not only the best lawyers we hired but I can now also call Tom and Marissa a friend. Ms. Ramsay handled my difficult case very efficiently, constantly making herself available when I needed her. She handled things both quickly and professionally, while making my end of things as easy as possible. I'm thrilled that we won, and I would highly recommend Ms. Ramsay. I will be keeping her as my attorney should the need ever arise again that I need one. Thank you for everything Marissa! We've been extremely happy with Tom's expertise. My son wanted to file for divorce Tom was referred by a family friend. He explained our options and supported us every step of the way. Later he helped my son win sole custody of his daughter. Payment was easy, as we used a credit card, and he sent us an itemized statement so we'd know how our money was spent. I've recommended his services to others. Hired Tom for a criminal matter. Was found "not guilty" and received a summary conviction. Excellent lawyer. Would recommend him highly. I am not typically one to write online reviews but given the quality of service I received from Marissa at Ramsay & Ramsay in this case I feel compelled to. When I first hired her I was facing a charge of driving with a suspended license due to DUI, which carries a minimum sentence of 60 days in prison and a fine of several thousand dollars. Despite the fact that I had no viable excuse for my actions, Marissa presented a case to the arresting officer and judge which convinced them to reduce my punishment to a 6-month license suspension and a $200 fine. I found Marissa to be intelligent, courteous, attentive, professional, and extremely effective. I cannot recommend her enough, and if I ever face criminal charges in Chester County again I wouldn't dream of hiring anyone else. Get the legal help that you need and the quality you deserve! Contact Ramsay & Ramsay, PC, online or call 610-235-4000 to schedule a consultation. 1. Please click the ‘PAY NOW’ image below. 4. We will send you an electronic confirmation upon receipt of payment.